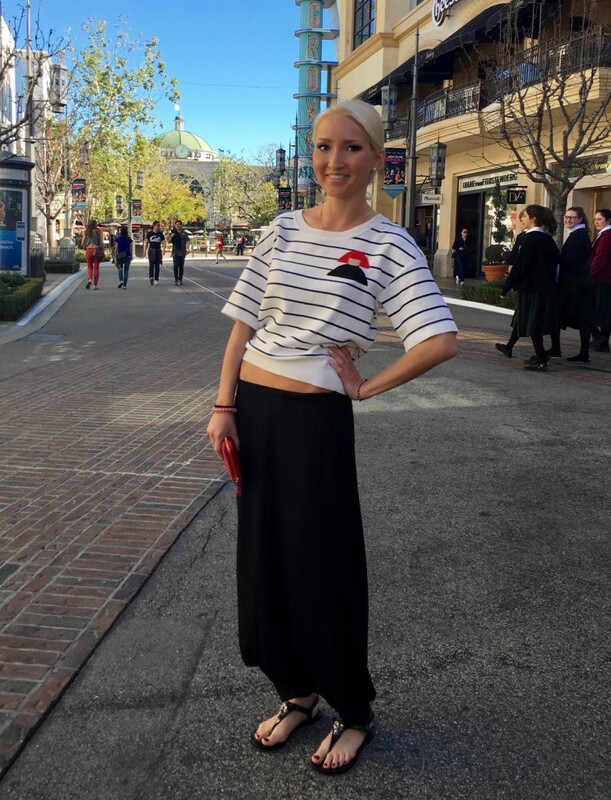 #OOTD – A Winter’s Summer Day in L.A.
Last time I saw Brini was last year at exactly this time in February. I was in L.A. for only two days. I was planning to fly back on a red-eye for a birthday party my friends planned for me in New York, when we decided, “Why not start celebrating tonight?” So, we stayed up all night, and I flew back to New York to continue celebrating with my friends there. This is my third consecutive year visiting L.A. in February – the past two years, I came for film festivals. Both times, it was sunny, of course, and pretty warm, but not summer-warm. 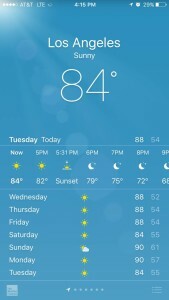 This time it is summer here – clearly global warming in action… It makes you just want to go to the beach! I packed lightweight clothing, but I was not prepared for t-shirts, shorts and flip flops weather. My outfit might even be a bit too warm for this weather – especially in the afternoon. I was lucky though, and it worked out. After a morning hike in Runyon Canyon Park, Brini and I had lunch in the Grove at a Brazilian spot she really likes and then hit the Apple Store. While waiting for Brini to finish up at Apple, I enjoyed the beautiful open-air mall. (No wonder it’s a tourist site.) And thanks to air-conditioned stores and the shade, I was very comfortable. For the beach, I changed into something lighter. But I really enjoyed my #ootd for an afternoon in the Grove with my dear friend. And of course, I always enjoy dressing for spring/summer in winter! You have made me homesick for my old stomping grounds! Ahhh, Sunny Southern Cal. Hope you are having a very HAPPY BIRTHDAY!